I frequently visit public lands in the desert. 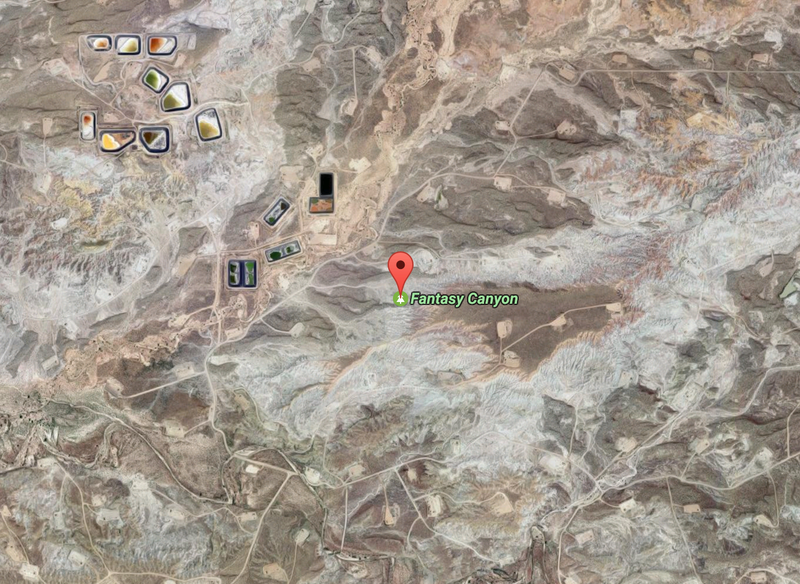 I need vehicle access on open, designated roads so I can get to my favorite spots in the desert. So do many of the people I know that also share a passion for the desert. 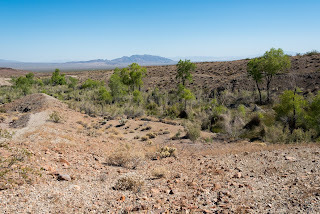 I have shared the desert with other people that like to enjoy the desert in other ways, including target shooting, ATV riding, rockhounding, and hunting. There is a lot of space out there to enjoy the wildlands, so long as we all act responsibly. We stay on designated routes, we put out our campfires before leaving and pack out our trash. Most of us agree that poorly-sited industrial development can destroy the desert wildlands we love to enjoy. But there are also a lot of people that I run into that claim that the creation of national monuments restricts their access and "locks up" public wildlands. So do national monuments help or hurt our access to public lands? Aren't national monuments just a land grab by the Federal government? When a national monument is established by the President or by Congress, it only includes public lands already managed by the Federal government. National monuments do not take private land. The monument status preserves public access for most forms of recreation that were already allowed on the lands before the designation, but restricts industry's use of the land. In other words, monument status can prohibit large-scale solar and wind projects, strip mining, and the drilling of new gas and oil wells. Mining and drilling pads surround the unique geologic formations of Fantasy Canyon in Utah. Why do we need monuments in the first place? Industrial uses of public lands - energy projects, mines, drilling, etc - not only affect our recreation opportunities, but they also destroy wildlife and culturally significant sites, such as Native American artifacts and historic sites. 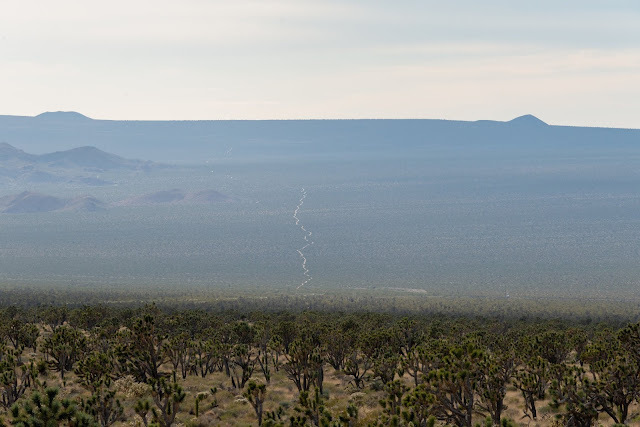 Take Mojave Trails National Monument as an example. Much of the land encompasses the longest undeveloped stretch of Historic Route 66 in the country. This is also where General Patton trained troops for World War II and where you can find sites of cultural significance for Native American tribes. 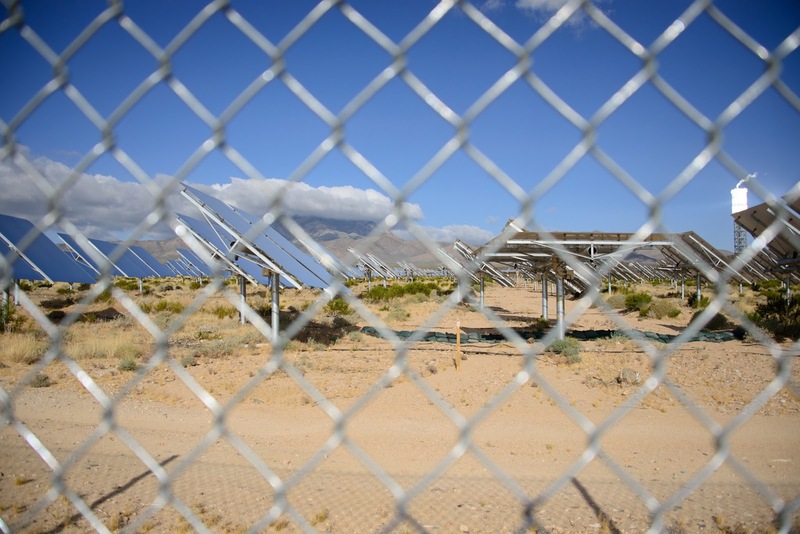 Before the monument was designated, energy companies wanted to build giant solar and wind projects on these desert wildlands. The Federal government has a hard time saying no to corporate interests unless the land is designated as a monument. Industrial uses destroy public lands. 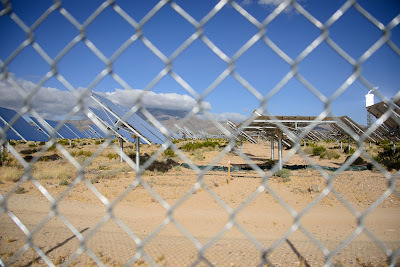 The Ivanpah Solar Electric Generating System above destroyed nearly 5.6 square miles of public land. National monuments keep lands intact and open for recreation. Don't they prohibit vehicle access in new national monuments? National monuments do not ban vehicle access. Some people confuse national monuments with wilderness areas. Wilderness areas prohibit vehicle use, but wilderness areas can only be established by Congress. Both the President and Congress can establish a national monument. Open road deep inside Mojave Trails National Monument. Don't they close at least some roads in a national monument? The Department of Interior routinely revisits travel management plans for public lands, whether or not the lands fall within a national monument. These plans decide which routes are open or closed. The Department of Interior may close roads if it determines that the roads could harm a particular wildlife population or historical site. For example, if multiple ATVs drove through one of General Patton's historic training camps in Mojave Trails National Monument, the Department of Interior probably would consider steps to educate the public that these are not open routes and list them as closed. Interior may also temporarily close roads around bald eagle nests during nesting season, for example. However, a review of recent national monument designation suggests that the vast majority of dirt roads remain open. Take the Grand Staircase-Escalante National Monument in Utah, where hundreds of miles of BLM routes remain open in the monument, in addition to the paved scenic byways and highways that cross or border the monument. Another example is Vermilion Cliffs National Monument in Arizona, many parts of which are accessible by open dirt roads for recreation. Don't national monuments prohibit OHV riding? National monuments allow vehicles on designated routes, which is the same rule that applies to the vast majority of public lands, whether or not they are included in a national monument. 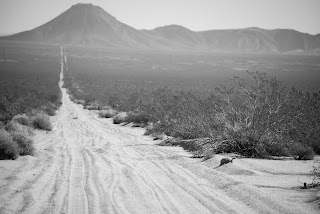 The only places where you can drive an OHV across wildlands without staying on dirt roads and tracks is in open OHV areas, such as Johnson Valley, Dumont Dunes, Rasor, Imperial, El Mirage etc. National monuments have not taken away any of the established open OHV areas. But you can ride whatever vehicles are legal to ride in that particular state on open routes in a monument. For example, the controversial Grand Staircase - Escalante National Monument in southern Utah permits ATV riding on its hundreds of miles of open roads. These open routes are in addition to the tens of thousands of miles of designated OHV routes that cross public lands. 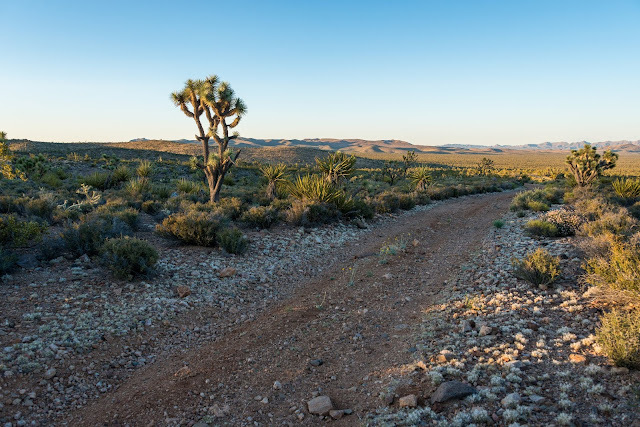 In the western Mojave Desert alone there are more miles of designated OHV routes than there are miles of paved roads in Los Angeles. Most national monuments continue to allow hunting in accordance with whatever local and state laws govern hunting in the area. Check out this Field & Stream op-ed on the topic. Basin and Range National Monument in Nevada is home to elk and deer, and continues to allow hunting, for example. 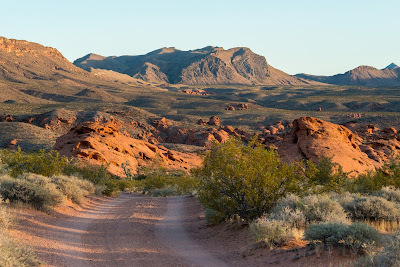 Same with Organ Mountains - Desert Peaks National Monument in New Mexico, Sand-to-Snow and Mojave Trails National Monuments in California, Gold Butte in Nevada, Bears Ears in Utah, and the list goes on. Isn't it true that national monuments hurt the economy? "The Headwaters Economics 2017 review confirms that all the regional economies adjacent to the studied national monuments experienced growth following a monument’s designation. National monuments help nearby communities diversify economically while increasing quality of life and recreational opportunities that make communities more attractive for new residents, businesses, and investment." National monuments can be controversial, but mostly because of misinformation about what they mean for recreation. The biggest impact monument designations have is that they limit industrial exploitation of the protected public lands. Private landowners can still do what they want with their property, but Interior will not allow new industrial development on monument lands in most cases. For people that want to see more mining, natural gas drilling, solar and wind projects destroy intact wildlands, monument status can be a bad thing. But for folks that want to enjoy the wildlands as they are, monuments are an overall positive development. They ensure that our generation and future generations can explore and enjoy the land. Miles of open road cross Gold Butte National Monument in Nevada. The list below provides an overview of permitted uses in 17 national monuments established since 1982. Although the list was created before many of the monuments designated since 2014, the permitted uses listed below are similar across many of the newer monuments, as noted in examples in the FAQ above.